It's officially summer. Unofficially, it's basil season. Right now, I am overwhelmed with the stuff. Pictured to the left is one of my behemoth basil plants. Having a lot of basil isn't exactly a problem, I admit. Who doesn't love basil? 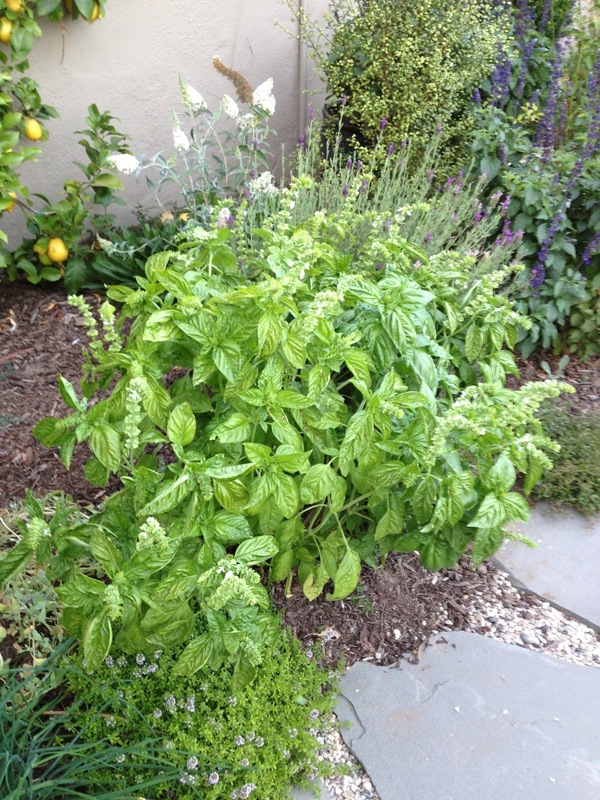 But for wine lovers, basil can make for difficult pairings. This is one assertive herb, and you need a wine that isn't going to clash with it, nor do you want your wine to disappear on the palate. My usual go-to wine when strong green, herbal notes are part of a dish is Sauvignon Blanc. But New Zealand Sauvignon Blancs are often quite citrusy, and US Sauvignon Blancs can be too melony and soft for basil. So I opened a Chilean Sauvignon Blanc--and it was perfect with my linguine tossed with homemade pesto and topped with some heirloom cherry tomatoes. The 2011 Viña Carmen Sauvignon Blanc Gran Reserva (available for $13-$15 in the market) is made from grapes grown in the Leyda Valley. It has vibrant aromas of grass, gooseberry, and that uniquely weird smell of boxwood that I often smell in Sauvignon Blancs from the southern hemisphere. This wine was green and leafy rather than citrusy, with a backbone of acidity that was neutral in flavor but kept your mouth watering for more. 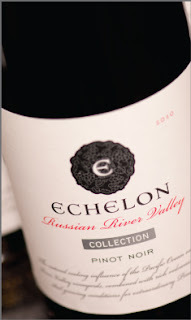 The midpalate was herbal, making me think 'this is what Cabernet Franc would taste like if it were white and not red.' Cool and refreshing, this stood up to the basil. If you have the wine with something less resolutely green, you may find that its assertiveness is a problem but if you have basil, this is a good wine to go with it--and it represents very good QPR. I'm not sure why Syrah tastes like summer to me--but it does. And by 'tastes like summer' I don't mean it's the kind of wine you reach for in July: cool, fresh, and zingy. I'm talking, instead, about a wine that conjures up images of fruit ripening on the vine, dusty back roads, purple-and-red sunsets, and a garden full of herbs ready for picking. Now that we're approaching midwinter, a touch of summer might be welcome. If so, why not warm up your evening with a beautiful, affordable bottle of Syrah, like this excellent QPR bottling? 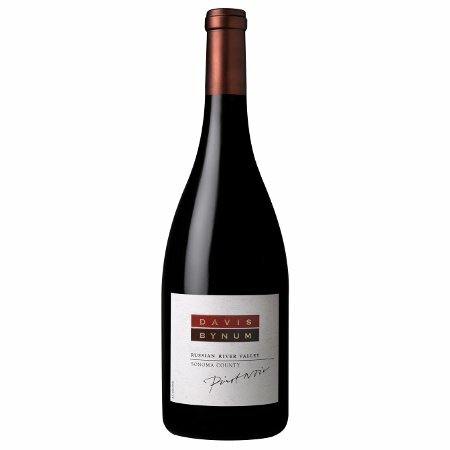 The 2008 Andrew Murray Syrah Tous les Jours (suggested retail, $16; average retail price via online retailers, $17) is an exceptional bottle of wine for the price. 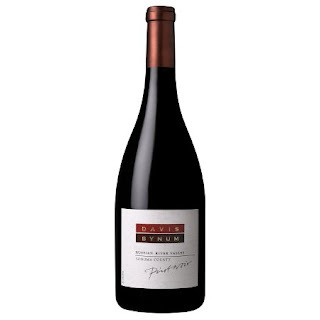 There is a beautiful balance between the fruit, herb, and mineral notes in this rich Syrah. 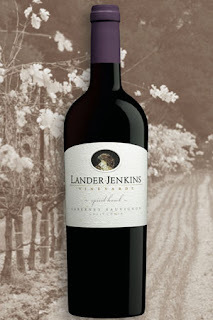 Black fruits dominate the aromas and flavors, and I detected black currants and blackberries. The wine has a smoky, spicy edge followed by a clean, crisp aftertaste. The wine's good acidity will make it pair with a wide variety of foods, including roasted and grilled dishes, Moroccan food, and even hamburgers. To go with your Syrah, try this delicious pan-roasted eggplant and lamb pasta sauce from Mark Bittman's Food Matters Cookbook. If you are vegetarian, it would be easy to leave out the lamb and still be left with a rich, flavorful sauce. The acidity of the tomatoes will not clash with this wine, the eggplant's bitterness will be a nice foil for the fruit, and the oven roasting will bring out the smokiness of the wine.